ZALIV III, is a 50.20m (164ft) built by Mondomarine in 2011. M/Y ZALIV III has a contemporary minimalist interior with fine woods throught. The use of incorporating elegant furniture and low lighting, gives her a fabulous sense of space. M/Y ZALIV III has plenty of exterior space on 3 decks. The main deck features a large shaded aft deck with comfortable seating on 3 cushioned settees with coffee tables. The upper deck offers various options for sunning and relaxing on the many comfortable seating choices and sunpads. The deck also includes a large Spa Pool and an alfresco dining option. 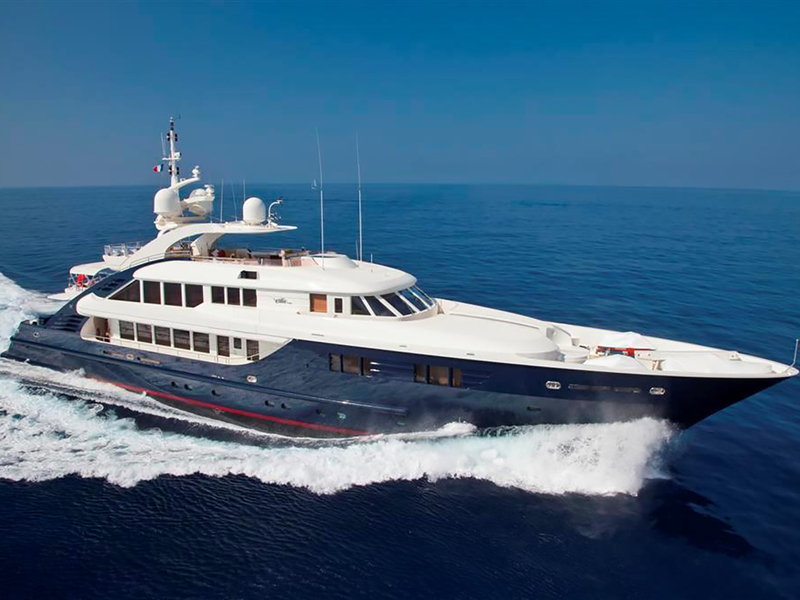 M/Y ZALIV III offers plenty of exterior spaces on 3 decks. The main deck features a large shaded aft deck with comfortable seating on 3 cushioned settees with coffee tables. The upper deck offers many options for sunning and relaxing on the many comfortable seating choices and sunpads, also includes a large Spa Pool and an alfresco dining option. While the second deck is reserved for the exclusivity of the master cabin and features a private seating area. 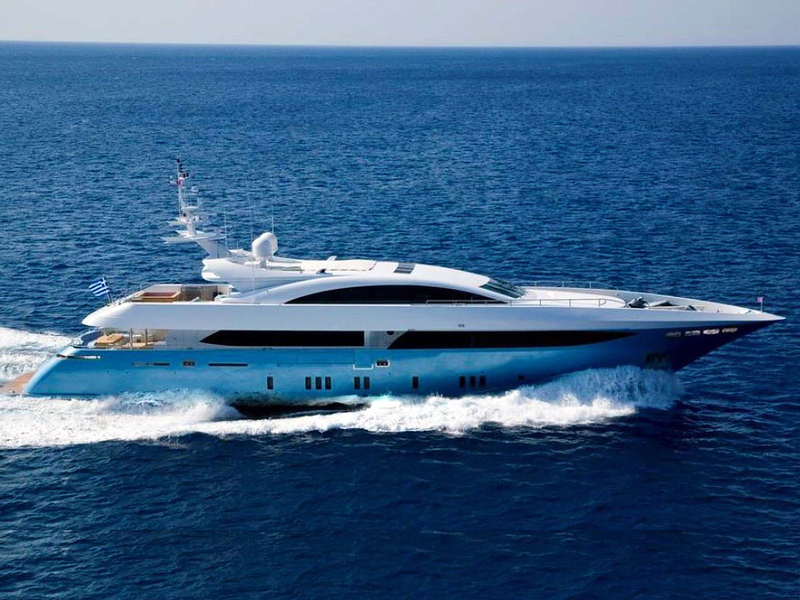 M/Y ZALIV III accommodates 12 guests in 6 luxurious cabins. The master cabin is located on the upper deck, a full beam of the yacht, with private access to the exterior deck. She boasts a king size bed, a salon and office, stam bath and spa room, as well as ensuite facilities with a Spa pool tub. The VIP cabin is located on the main deck and also is full beam of the yacht with king size bed and includes a Spa Pool and steam bath. On the main deck are also located two double cabins with queen size beds and 2 twin cabins plus poolman beds, all with ensuite facilities. M/Y ZALIV III is your best choice for a woderful luxury charter yacht experience.